SunHaze has taken the essence of summer, fun and the sun to create swimwear that is designed with sophistication, style and a touch of timelessness as well as combining elements of sun protection. Sunhaze is a proudly Australian owned and operated swimwear and beachwear company trading since January 2013. We are located on the Sunshine Coast, Queensland. All our fabrics are designed by us and printed in Australia, using only the highest quality, chlorine resistant, fade resistant and UPF 50+ fabrics and all swimwear is fully lined. Fishing nets and other consumer products have been recycled to make this fabulous soft fabric. 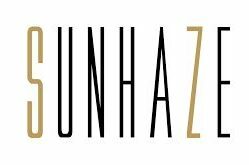 All SunHaze products are made in our studio. Our Mummy and Me range is our most popular range, offering swimsuits for mothers and their children. Our hats are made with the same swimsuit fabric giving customers the ability to mix and match these with our wet shirts and swimwear. Sizes range from 00 to 12 years for children and 6 to 16 for women (all in Australian sizes). Our new collection will include sizes 18 to 24 as we wanted to create a great swimsuit collection for all women.